When I bought Wheatgrass Saloon, previously known as the Drawing Room, September 1, 2012, I never planned on nor imagined having the need for 9-10 employees to help run the Saloon. As it turns out, there is a high demand for nutritious food and drink in Livingston, Montana and beyond. And, so, there is a need for employees. At long last, I am pleased to introduce to you the stunning souls without whom Wheatgrass Saloon would not exist. I would have given up long ago without the hard work, good ideas, dedication, humor, kindness, energy, inspiration and creativity of the following people. Cindy was born in Minnesota and came to Livingston as a child. She has two grown children and a grandchild, Daniel, who lives in Germany with his parents. She has been at Wheatgrass since the Saloon doors opened on December 1, 2012. She is invaluable to the business and to me and holds a very special place in my heart. Tasha moved to Livingston in 2013 and is in the process of obtaining her master’s degree in social work, with the goal of becoming an LCSW. When she is not studying she enjoys hiking with her partner, David, and their dog Liam. Tasha loves cooking from scratch, gardening, running, reading, and watching movies. Her favorite items at Wheatgrass Saloon are the Little Red Corvette, Kale Caesar Salad, and We Got the Beet. I cannot imagine what I would do without the presence of Tasha in my business life. She has the wisdom and maturity of a sage and her energy is a joy to experience. Alyssa was born and raised in Livingston. One of her favorite things to do in her spare time is sketch and paint. She loves working at Wheatgrass Saloon and learning new recipes that inspire her to be creative with healthy food choices at home. Angie is an artist, crafter, horror movie junkie, animal lover and co-owner of Raised by Wolves Studios. She finds inspiration in all things vintage and macabre. Michelle has grown up in Livingston, MT. She will head south to attend university in Prescott, Arizona to study art and psychology. She is passionate about holistic health and nutrition, and is looking forward to see what the future brings. Siobhàn was born and raised in Paradise Valley. She will attend Amherst College in Massachusetts in the fall where she plans to study biology with a focus on genetics. She loves skiing, hiking and her weiner dogs. Nacoya is also Livingston born and raised and loves the Montana outdoors. She enjoys playing ice hockey and traveling and looks forward to seeing you at Wheatgrass Saloon. Peter is a sophomore at Park High. You might run into him on the soccer field or see him doing back flips on skis as he races down the mountain. Zoe is a student at Park High School. She loves to play tennis. She also enjoys making jewelry and being crafty. Fourth Thursdays at Wheatgrass Saloon will fall on Thursday, March 24th this month. Ten percent of net sales will go to McNair Skate Park . Breathing Room Yoga will host its Spring Equinox 108 Sun Salutation Celebration Friday, March 18th 6-8pm. After finishing your 108 sun salutations you can enjoy a shot of Greentini juice from Wheatgrass Saloon to celebrate the return of the sun and get a coupon for $5.00 off the Juice Cleanse at Wheatgrass Saloon. Tap into Montana takes place April 4th – 9th. Wheatgrass Saloon will once again host Art on Tap . This year Parks Reece will teach a finger painting class and Craft Beer and Brats will be served. Sign up at Wheatgrass Saloon or by calling 333-2330. One April 29th, Wheatgrass Saloon will serve vegan ice cream at this year’s Taste of Livingston which benefits Montessori Island School. Summer hours will begin May 2nd. Wheatgrass Saloon will be open Monday – Saturday, 10am – 5pm. Wheatgrass Saloon Upstairs Gallery is currently taking submissions for two art shows for the Livingston Summer Art Walks: Icons and YNP Hot Pots. This year, the Art Walks will take place on the 3rd Fridays of the month June – September. 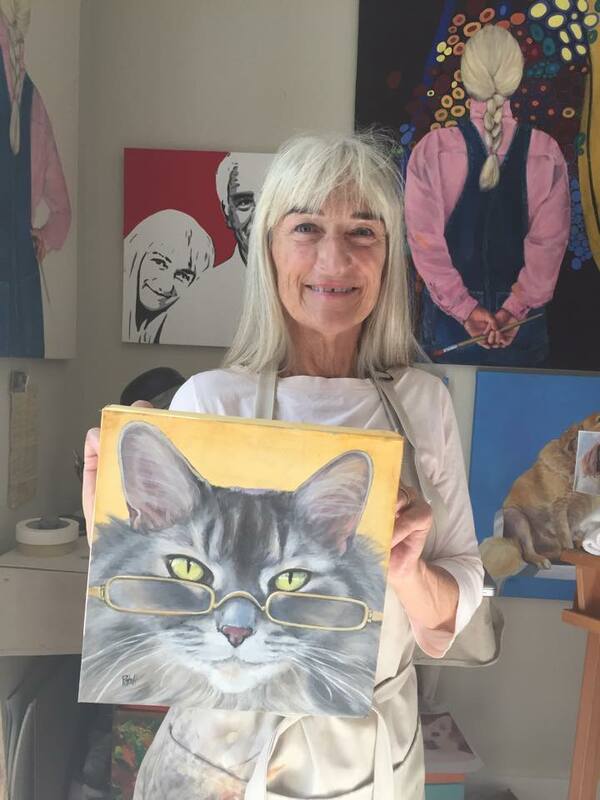 The first art walk of the season will take place June 17th and will feature the work of Angelina Froke and Carol Liljedahl of Raised by Wolves Studios. That’s enough introductions for now. Get outside. Things are blooming! I had the pleasure of hearing many writers recently in Missoula at the Festival of the Book. One of my favorites (aside from my darling, Marc Beaudin) was Liz Carlisle who spoke of and read from her book, Lentil Underground which chronicles the story of a group of renegade Montana farmers who were early leaders in the organic food movement. I can’t say enough good things about what a phenomenal woman Liz is. And I’m glad to say that we now have signed copies of her book here at Wheatgrass Saloon. The Timeless Seeds lentils celebrated in Liz’s book, the Lentil Underground, will be the star ingredient in many of the soups coming your way as our “warm” offering here in the juice bar at Wheatgrass Saloon this fall and winter. The soups will rotate weekly, and we plan to begin serving them in October. 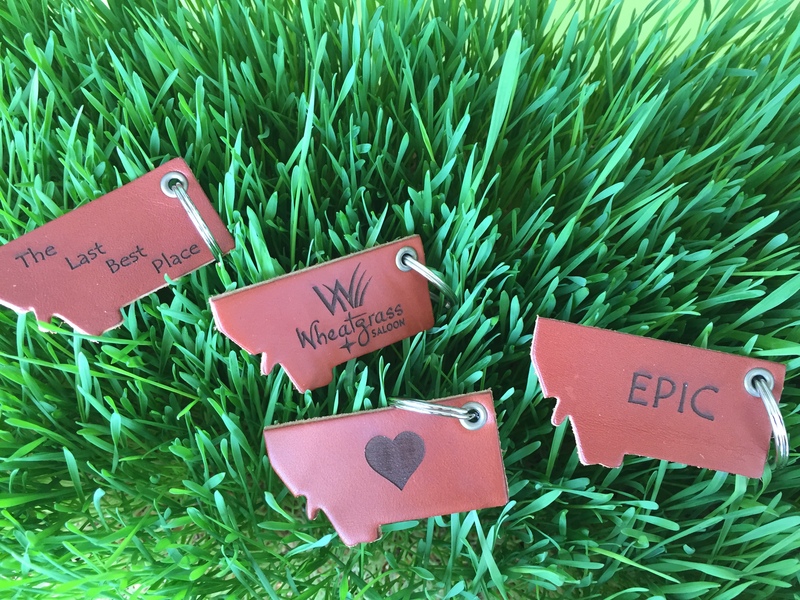 On the way to Missoula, I stopped in Bonner to meet Mike Hangas and pick up some super cute and beautifully designed keychains handmade at Ruana Knives. They will make a very affordable gift for anyone on your list in the coming season. In Missoula, I met Mallory Ottariano owner of Kind Apparel. I love her clothing designs and I really love that all of her materials are sourced from local charity thrift stores whose missions support autism research, the fight against domestic violence, food banks, and provide food and jobs for disadvantaged members of the community. I brought back a few of her pieces for us to check out. One of my favorites are her booty shorts. Perfect for a class at Breathing Room Yoga. The last art walk takes place September 25th, and I am delighted that Betsy Hall will be showing her “Dog Days of Livingston” new works upstairs in the Wheatgrass Saloon Gallery. Betsy Hall has spent the past month painting one painting per day. For the show, she will have portraits of 27 dogs, two cats and three birds. She will also have available notecards sold individually or in sets of ten in “doggy bags”. If you are sad that your pet was not painted for the show, you’ll be happy to know that Betsy will be taking new commissions at the opening. Dog Days of Livingston opens on Friday, September 25th for the Art Walk upstairs at Wheatgrass Saloon on Main St. and will be up for one month. In addition to a variety of human food treats, there will be peanut butter banana dog treats to take home to your puppies and Mark Rehder’s Geyser Farm Kombucha with of course the option to give it a kick.